Special and Sponsored Partner Content. IMDb (www.imdb.com), the world’s most popular and authoritative source for movie, TV and celebrity content, today announced the second annual “IMDb LIVE Viewing Party,” a live streaming companion show celebrating the Academy Awards that in its first year provided millions of fans and industry insiders with unique, entertaining and informative coverage of Hollywood’s biggest night. The live broadcast co-hosted by Dave Karger (IMDb Special Correspondent) and The IMDb Show co-hosts Tim Kash and Kerri Doherty will stream live on IMDb.com, IMDb’s mobile apps, Twitter and Twitch, and will be produced on site at an invitation-only industry viewing party at Neuehouse (formerly the historic CBS Radio Studio) in Hollywood, California. IMDb’s hosted coverage during the “IMDb LIVE Viewing Party” broadcast will take place before, after, and during breaks in the Oscars® telecast. 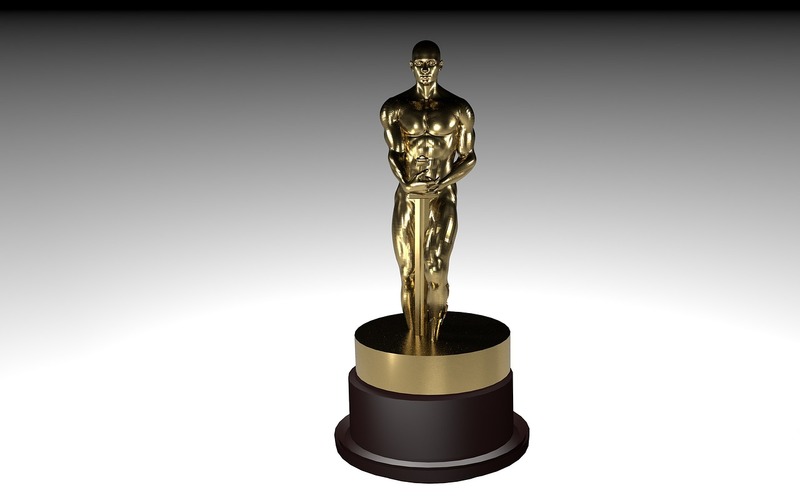 IMDb does not broadcast the awards ceremony itself – while the program is in progress, the hosted conversation stops and IMDb delivers a “second screen” experience featuring videos, information, and trivia related to the Oscar nominees currently being celebrated. The “IMDb LIVE Viewing Party” broadcast will begin at 4:30PM Pacific on Sunday, March 4, providing viewers with a uniquely fun and informative perspective on the Academy Awards, featuring conversations with celebrity guests, past nominees, experts and industry insiders, along with IMDb data and information. Guests include Aisha Tyler (Criminal Minds, Archer), Anne Heche (The Brave), Lea Thompson (Switched At Birth), past winner Tatum O’Neal (Paper Moon), two-time nominee Peter Fonda (Easy Rider), longtime Academy head writer Bruce Vilanch, IMDb’s Founder and CEO Col Needham, Clifton Collins Jr. (Westworld), Tamara Taylor (Altered Carbon), Boots Riley (Sorry To Bother You) and more. The live broadcast will also integrate IMDb information and proprietary, real-time IMDb trending data, comments and questions from users on Twitter and Twitch, and pre-produced segments including interviews with nominees Guillermo Del Toro (Director, The Shape of Water), Willem Dafoe (Supporting Actor, The Florida Project), and Benj Pasek and Justin Paul (Songwriters, “This is Me” from The Greatest Showman). Entertainment fans can tune in from anywhere to watch the “IMDb LIVE Viewing Party” via IMDb’s mobile apps or directly at IMDb (www.imdb.com). IMDb’s live show will also be simulcast and promoted by two of the industry’s live video leaders, Twitter and Twitch (http://twitch.tv/imdb). Twitter’s live stream of IMDb’s Live Viewing Party will be available globally for free to logged-in and logged-out users on Twitter and connected devices. Tweets about the #Oscars will appear in a timeline along with the live video on Twitter, available at www.live.twitter.com/IMDbLive or @IMDb. The broadcast on Twitch gives users the opportunity to participate in a real-time chat with an IMDb moderator throughout the evening, with some questions and comments to be addressed by hosts and guests during the show. IMDb’s editorial coverage of the 90th Academy Awards will also include real-time winner announcements, trivia quizzes, photo galleries and more. IMDb’s second-annual viewing party will welcome, by invitation only, more than 300 industry insiders to Neuehouse in Hollywood, California on Sunday, March 4. Party guests will be treated to food and drinks while watching the Academy Awards and the production of IMDb’s live companion show, featuring celebrity conversations and a stream of real-time facts, data and social commentary from IMDb and IMDbPro, the essential resource for entertainment professionals. IMDb’s live companion show to the Academy Awards telecast will begin with a pre-show at 4:30PM, and will wrap up with a post-show after the Academy Awards broadcast concludes. IMDb’s show includes live conversation between hosts Dave Karger and The IMDb Show’s Tim Kash and Kerri Doherty, and celebrity guests including Aisha Tyler, Peter Fonda and Tatum O’Neal, as well as IMDb data and trivia related to nominees and winners. The live broadcast is produced by IMDb and Broadcast Management Group. Entertainment fans can tune in and follow along from anywhere on their mobile devices at www.imdb.com, IMDb’s iOS and Android mobile apps, and distribution partners Twitter and Twitch.